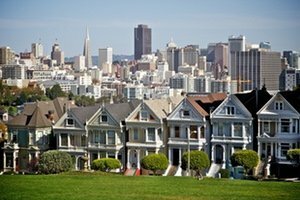 A city like San Francisco has so much to offer both visitors and locals alike. 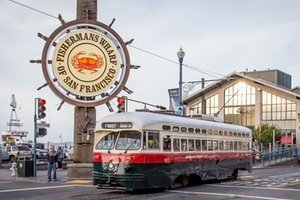 Whether you are a foodie, a sporting fan, a history buff or just an ordinary tourist looking to experience the pulse of the city, San Francisco has something for you. We worked hard to put together a comprehensive collection of our favorite spots and while this isn’t meant to be reflective of everything to do and see in San Francisco, nor in any particular order, it’s a fantastic starting point to base your stay around. 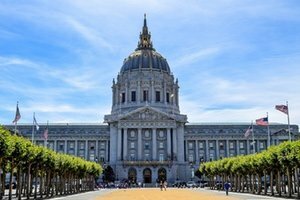 If you truly want to experience this city from the ground roots, we strongly recommend booking a private walking tour in San Francisco with us. 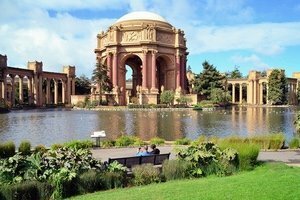 We will be happy to work with you to create the most amazing experience for your time in San Francisco and have included our itineraries to give you a better understanding of some of the things we cover. 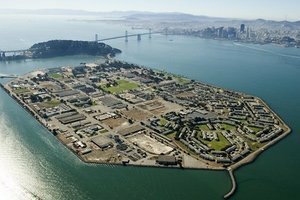 One of the most popular attractions in San Francisco, Alcatraz is a small island in the middle of San Francisco Bay that was once a military fortification though it is best-known as a federal prison from 1934 until 1963. 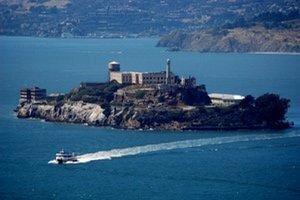 Commonly referred to as “The Rock”, it held famous inmates such as Al Capone and was popularised in movies like ‘Escape from Alcatraz’. 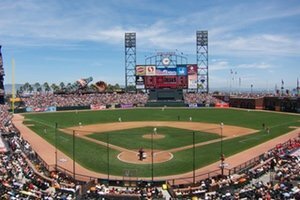 AT&T Park is a baseball park located in the South Beach neighborhood of San Francisco, California. Since 2000, it has served as the home of the San Francisco Giants. If in-season be sure to check out a game. The first of the two main bridges to span San Francisco Bay, it was opened in November 1936. The eastern span was replaced in 2013. Look out to the bridge at night for a wonderful light show. 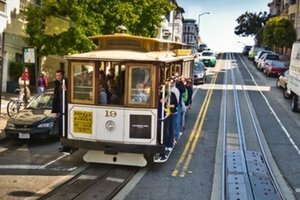 Discover the history of San Francisco’s cable cars and learn how they work. You can even see the cables in action! This government building is a beautiful piece of architecture, complete with a gold-tinted Baroque dome. Venture inside to see the grand staircase. At night the building is often colorfully lit. Housing some 1,700 species of aquatic and tropical plants, many of them rare, including a 100-year-old giant Imperial philodendron, a world-renowned collection of orchids, giant water lilies, and carnivorous plants. 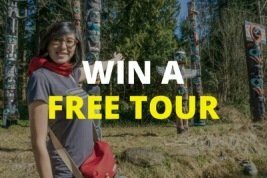 FREE every first Tuesday of the month. 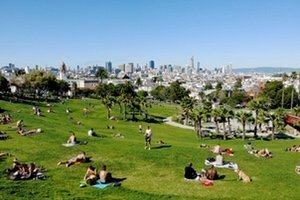 Mission Dolores Park is one of San Francisco’s most popular destinations, the vibrant heart of its equally vibrant, culturally diverse neighborhood with spectacular views of downtown. 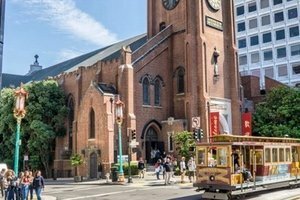 One of the oldest buildings in San Francisco, founded in 1776, the mission was named after St. Francis of Assisi. It is commonly referred to as ‘Mission Dolores’. Be sure to visit the quaint grounds at the back of the church. 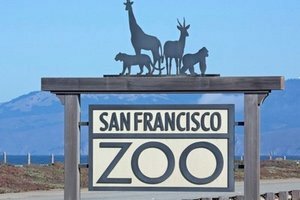 The San Francisco Zoo makes for a great outing for families with over 2,000 animals in a park-like setting located by the Pacific Ocean. Open from 10am to 5pm daily. San Francisco’s most iconic landmark, the brightly colored Golden Gate Bridge spans the entrance to the bay. Often shrouded in fog the best views can be found on the north/west side. 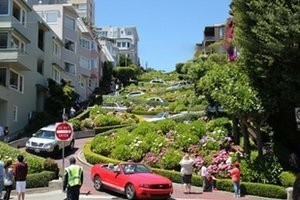 Tourist central but worth a visit if it’s your first trip to San Francisco. Try a hot bowl of clam chowder at Boudin Bakery, watch a variety of street performers, or simply browse the souvenir shops. 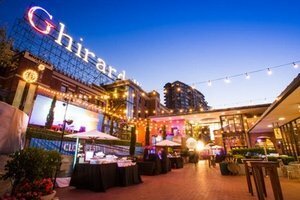 Ghirardelli Square is a public square with shops and restaurants, most notably the famous Ghirardelli Chocolate Store which was founded in 1852. This place gets pretty busy but the sundaes are totally worth the wait. While waiting, watch the oozing chocolate being made downstairs and grab a free sample in the gift shop. 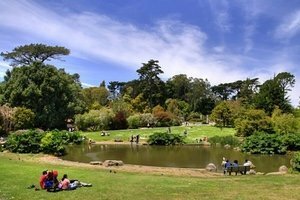 Often compared to New York’s Central Park, Golden Gate Park is a massive urban park that stretches from the Pacific Ocean to the Haight. Inside, you will find walking trails, gardens, a golf course, horse riding, archery, museums, and much more. 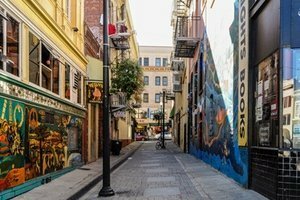 Get your hippie vibe on as you wander down the main street of this famous neighborhood. You’ll spot plenty of weird and wonderful stores packed with ‘far out’ clothing or trinkets. Be prepared to smell weed in the air as this is hippie central. 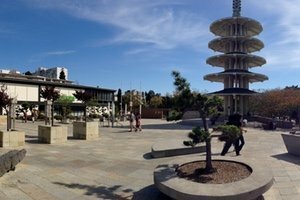 The central square in Japantown which is surrounded by shops and restaurants. The five-tiered concrete Peace Pagoda is an eye-catching centerpiece, complete with cherry blossoms. Famously known as the “Crookedest Street in the World”, although it actually isn’t, this one-block section of the street has 8 hairpin turns and beautiful garden areas with hydrangeas. 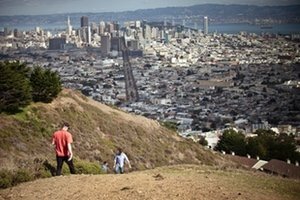 Best way to access is by foot, bicycle, or cable car. 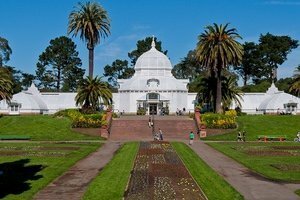 Built for the 1915 Panama Pacific International Exposition the standout dome structure is recognizable from many parts of the city. With gorgeous gardens filled with birdlife and turtles, this place is stunning and worth a visit. 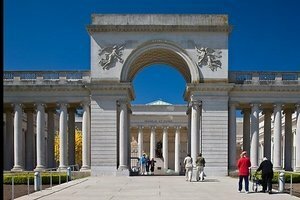 A fine arts museum housing painting, decorative arts, and sculptures, the Palace of the Legion of Honor is a replica of the French Pavilion at the 1915 Panama–Pacific International Exposition built to commemorate Californian soldiers who died in World War I. Over 100 restaurants, shops, and attractions including live entertainment and a carousel. 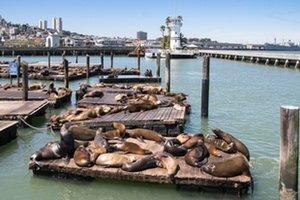 Be sure to check out the sea lion colony on the west side of the pier. You’ll hear (and smell) them as you get closer. With all the rules and regulations these days it’s a wonder you can still hang off the side of a cable car as it scoots down steep hills. 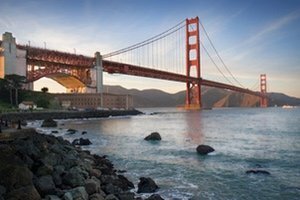 While $7 for a one-way ticket ain’t cheap, it’s a must-do when in San Francisco. If you want to avoid the lines, jump on the California line. 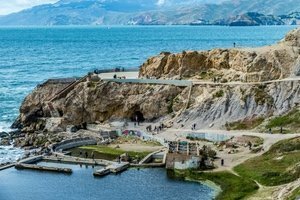 Once a playground for the social elite and home to the largest indoor swimming pool in the world, Sutro Baths now lies in ruins after the complex burned to the ground in 1966. You can still visit where the complex was located next to the ocean. 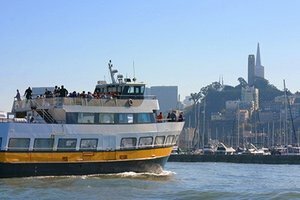 A great way to see San Francisco Bay is by getting out there on the water. 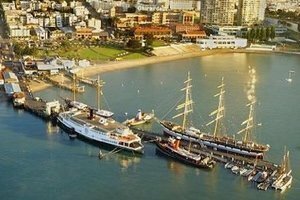 Take a ferry over to the quaint town of Sausalito and grab a bite to eat. If you’re feeling adventurous, hire a bike and ride across the Golden Gate Bridge, then catch the ferry back. One of two alleys filled with graffiti and street art, Clarion Alley is overseen by the Clarion Alley Mural Project. Once the tallest building in San Francisco, the Transamerica Pyramid’s unique design caused a great deal of controversy and changed the city’s skyline when it was completed in 1972. 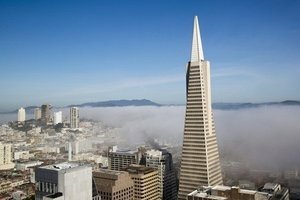 Learn more about the Transamerica Pyramid on our Best of San Francisco tour or Downtown & Embarcadero tour. 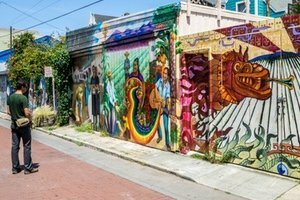 Another alley that has been overtaken with a splash of colorful murals, Balmy Alley is a little less accessible than Clarion Alley but the art is as good or better. Worth the trek if you like street art. 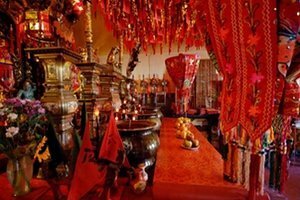 The oldest Taoist temple in San Francisco’s Chinatown. Located on the fourth floor of a very commercial-looking building you will find this hidden gem. Once you climb the stairs to the top, you’ll feel like you’ve journeyed to the far east. Step out onto the balcony for a great view of Chinatown and Coit Tower. 360-degree views from the ocean to the bay. On a clear day, you’ll spot Golden Gate Bridge and south to the airport. 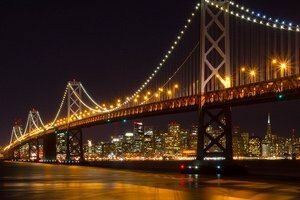 If you come at sunset or sunrise you’ll be treated to a golden glow over the entire downtown San Francisco. Simply amazing! Perched high on Telegraph Hill you will find this monument dedicated to the Lilian Hitchcock Coit and the firefighters she served with. Catch the lift to the observation deck for a 360-degree view of the city and bay. In the center of downtown, you will find Union Square. Surrounded by hotels and shops, this is the heart of the city (in fact, you can find heart statues within the square). Over winter the square is converted to an ice skating rink. 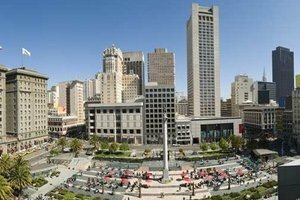 Visit Union Square on our Best of San Francisco tour or Downtown & Embarcadero tour. Hidden in a small alleyway you will find this tiny store. Watch as the workers hand-make fresh fortune cookies of all shapes, sizes, and varieties. Prepare to wait in line but be rewarded with a free sample when you reach the front. 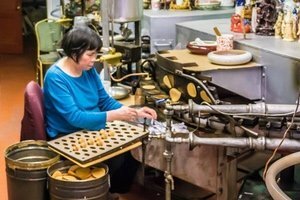 Visit the Golden Gate Fortune Cookie Factory on our Best of San Francisco tour or Chinatown & North Beach tour. Formerly Adler Place this tiny alley is now named after one of the most notable Beatniks, Jack Kerouac. He and his band of misfits once frequented Vesuvio Cafe which is at the entrance to the alley. 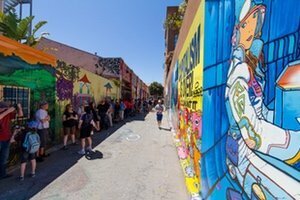 On both sides of the alley, you will find colorful murals and a ‘walk of stars’ dedicated to the beats counterculture. 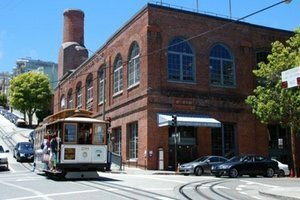 This beautiful building was completed in 1898 as the main ferry terminal for the San Francisco. In 2002 it was renovated and now houses a selection of local stores. Farmer’s market runs on Tuesday, Thursday, and Saturday mornings. 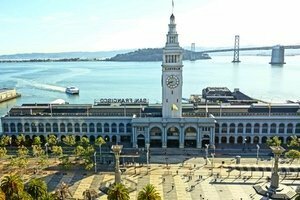 Visit the Ferry Building Marketplace on our Best of San Francisco tour or Downtown & Embarcadero tour. Fantastic modern art museum with over 33,000 paintings, sculptures, and other media arts. 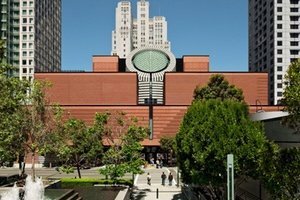 SFMOMA offers also has 45,000 square feet of art-filled public spaces where no ticket is required. 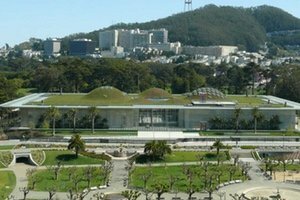 The California Academy of Sciences, home to an aquarium, planetarium, and natural history museum is a groundbreaking research and educational institution. Kids and adults will love the Shake House where you can experience what it is like during an earthquake. Admission is FREE to the general public four Sundays a year. Early arrival is recommended due to the likelihood of high demand. 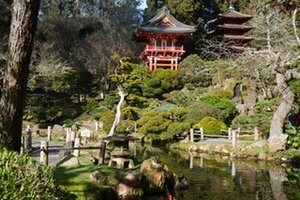 The Japanese Tea Garden in Golden Gate Park is the oldest in the United States, created for the 1894 California Midwinter International Exposition as the fair’s Japanese Village exhibit. Monday, Wednesday, Friday: FREE entry from 9am – 10am. 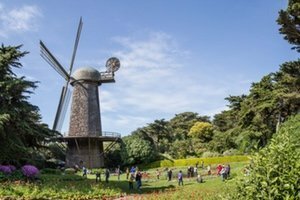 55 acres of gardens with over 8,000 varieties of plants from all over the world in the heart of Golden Gate Park. FREE admission everyday from 7.30am – 9am. 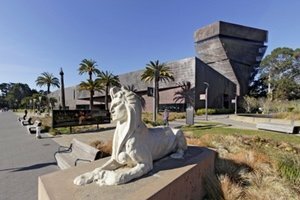 The de Young Museum was founded in 1895 after the Midwinter Exposition. It housed many of the newspaper mogul, Michael Henry de Young’s personal collection and now showcases contemporary art exhibitions. 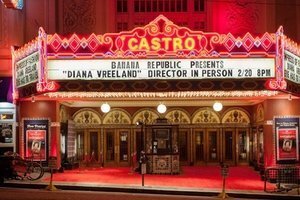 Historic theatre in the Castro neighborhood. Fun and interactive ‘Sing Along’ shows where the audience sings along to famous movies, complete with props. Founded during the Beat Movement in 1953. 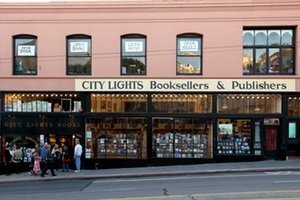 City Lights is a landmark independent bookstore and publisher that specializes in world literature, the arts, and progressive politics. This is a spot many locals might have heard about but probably haven’t visited. 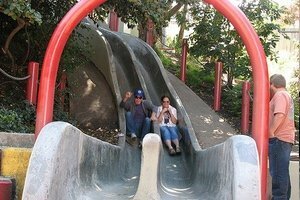 Two concrete slides for kids and adults alike make for a fun time. Best to bring some cardboard if you want to have a go. 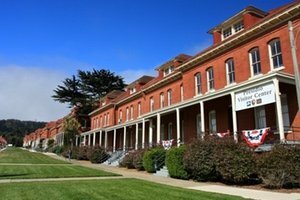 The Presidio of San Francisco is a park and former U.S. Army military fort on the northern tip of the San Francisco Peninsula in San Francisco. It is part of the Golden Gate National Recreation Area and one of the first areas to be developed by Spanish explorers. 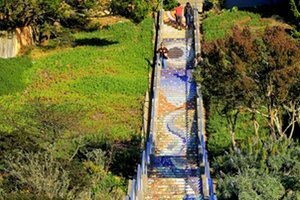 A beautiful mosaic tiled staircase with 163 steps up to a small park makes for a great workout and excellent photo opportunity. If you’re a fan of everything Disney, this should be on your radar. 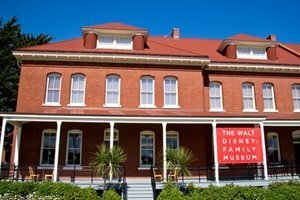 Featuring early drawings, movies, and interactive installations, the Walt Disney Family Museum showcases the life work of Walt Disney. There’s even a 12-foot replica of Disneyland. 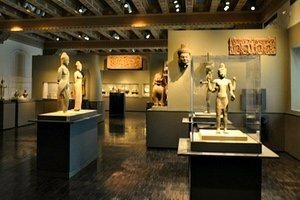 Housing over 18.000 works of art, the Asian Art Museum in San Francisco has one of the most comprehensive Asian art collections in the world. They even have a Japanese teahouse that was built in Kyoto. Some of the oldest pieces on display date back 6,000 years. Closed on Mondays. 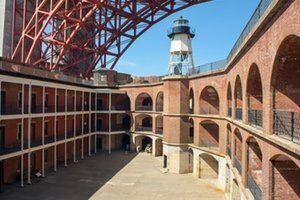 Fort Point was built in 1853 to fortify the entrance to San Francisco Bay. During the building of the Golden Gate Bridge, there were plans to demolish the building but chief engineer Joseph Strauss redesigned the bridge in order to protect the fort below. Once a dumping ground Chrissy Field has come a long way in the past century. After the 1915 Expo an army airfield was constructed which remained until 1974. The National Parks Service took over the land in 1994 and after a significant cleanup, it opened to the public in 2001. With a rock climbing gym, trampoline center, and indoor swimming, it’s a fitness mecca. Be transported back to the carnivals of the early 20th-century at this quirky mechanical museum. 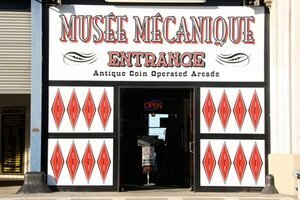 The museum has over 300 machines on display and is one of the largest privately owned collections of penny arcade games in the world. The best part – you can still actually play all the games they have. 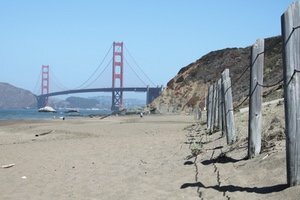 When the sun is shining, locals flock to Baker Beach to get their tan on. There’s even a nudist section at the northern end of the beach. Don’t expect to go swimming though as the waters are cold all year round. 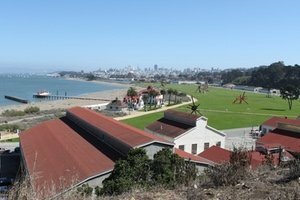 A haven for professional dog walkers and photographers looking to snap that perfect shot of the Golden Gate Bridge. 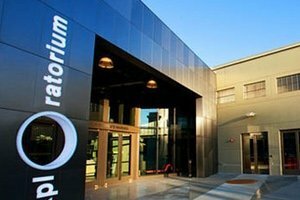 The Exploratorium is more than a museum, it’s an educational, hands-on experience that makes science fun. Great for keeping the kiddies entertained on a rainy day in San Francisco. Open for 10am – 5pm. Closed on Mondays. If you’re interested in maritime history this is the place for you. Come and get a first-hand look at a number of ships from the 1800s. There’s also a submarine and a visitor center with exhibits. 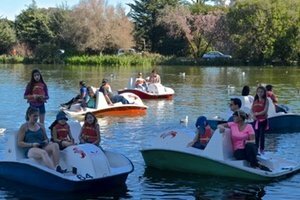 One of many lakes to be found within Golden Gate Park, Stow Lake gives you the chance to get out on the water by hiring a row boat, paddle boat, or electric boat by the hour. A nice way to chill out and enjoy a warm sunny day in the park. Treasure Island is a man-made island in the middle of San Francisco Bay. 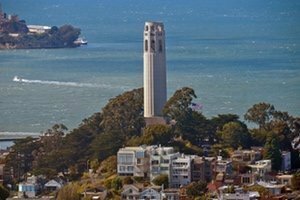 It is accessible by car and bus via Yerba Buena Island and it a great place to come to watch the sun set over San Francisco city. Built from landfill, this small parcel of land is being developed into a luxury residential area. 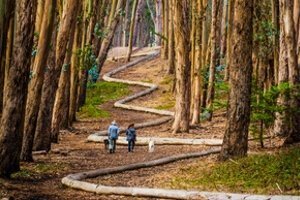 One of a handful of art pieces in the Presidio by renowned artist Andy Goldsworthy. Wood Line is a snaking line of logs that make their way through a cleared section of eucalypts. 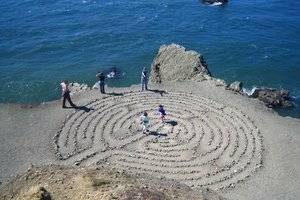 Hidden deep off the Lands End trail overlooking Golden Gate Bridge is a secret rocky labyrinth created in 2004 by local artist Eduardo Aguilera. It has been vandalized numerous times and was destroyed in 2015, but was rebuilt a month later by the artist with the help of 50 volunteers. 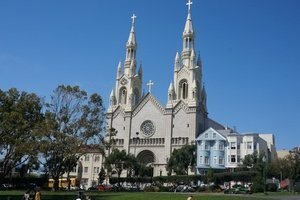 High atop of Nob Hill, you will find the majestic Grace Cathedral. The first little chapel was built during the start of the gold rush in 1849. This French Gothic building now opens its doors to church-goers and yoga enthusiasts, yes you read that right. It’s a popular spot for yoga. 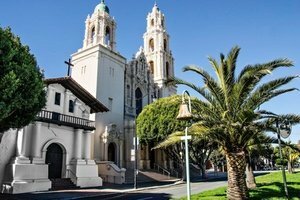 Originally constructed during the 1850s gold rush, Old Sait Mary’s was the first cathedral in California to be built purely as a cathedral. When completed it was the tallest building in California. It survived the 1909 earthquake only to be burned to the ground in the fires the very next day. Inside you will find old photographs from the earthquake and fires. Two towers rise into the sky and this beautiful church in North Beach. Don’t be concerned about the devilish location (the address is 666 Filbert Street). 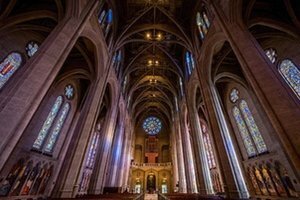 This church has seen its fair share of celebrity action with Joe DiMaggio and Marilyn Monroe famously taking their wedding photos on the steps in 1954.